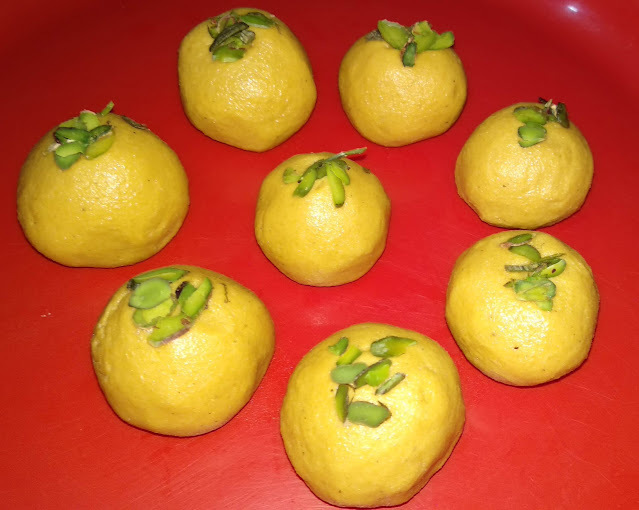 Besan Ladoo is a Popular Indian sweet made from chickpea flour, ghee and sugar. Very easy recipe, you just need to take care that chickpea flour is properly toasted. All time favorite sweet of every age group. Whenever, you need to prepare a long lasting sweet dish, this dish is perfect because it can be prepared with less ingredients and all the ingredients are easily available in every home. So let us start. Add ghee to a non-stick pan and heat it. Add chickpea flour to the ghee and toast it on low flame for about 15 minutes. The raw smell of chickpea flour will disappear and it will turn light brown in color. Add powdered sugar as per taste and mix well. 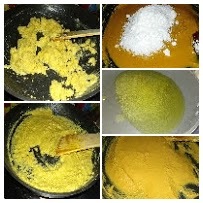 Make small Ladoo with the help of your palms. 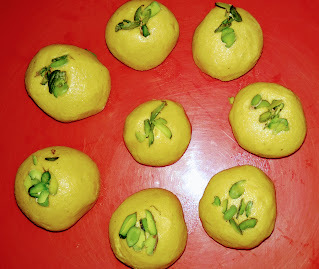 Tasty and healthy Ladoos are ready. Garnish with cardamom powder and pistachio. You can store them in an air tight container and use them for a week. 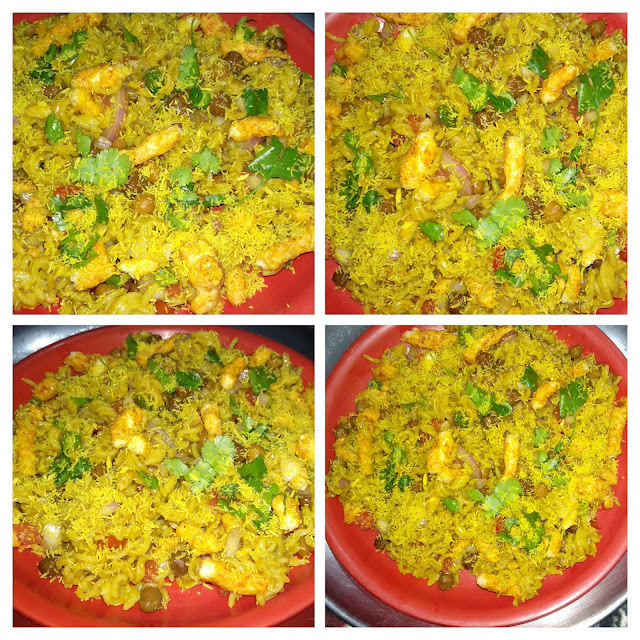 You can serve them to your kids with evening snacks.